ANDRÉ RIEU’S 2013 Maastricht Concert will be broadcast live via satellite from the Dutch city to The Eye Cinema this Saturday at 7pm. André Rieu has created an international revival in waltz music with his orchestral extravaganzas. 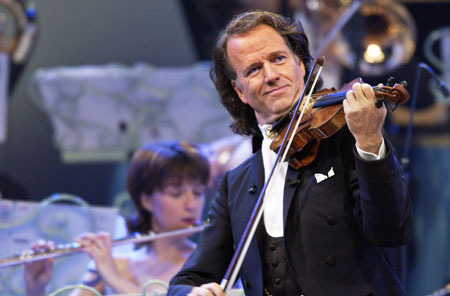 Conducting the Johann Strauss Orchestra with his violin bow – like the composer himself – Rieu’s onstage charisma and rock-star demeanour make this cinema event irresistible.